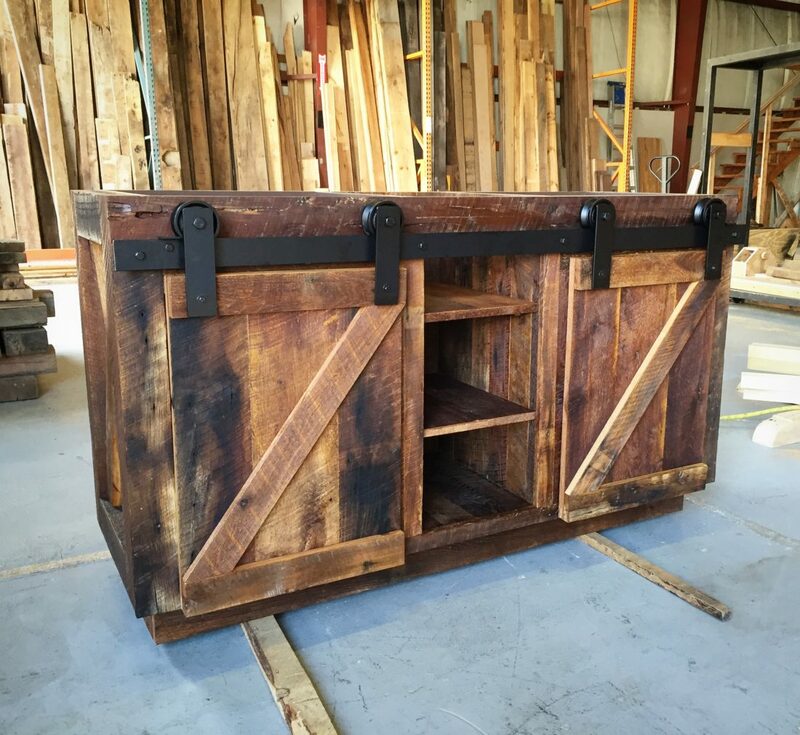 Connie and her husband came to us while looking for someone to build them a custom reclaimed wood bathroom vanity. 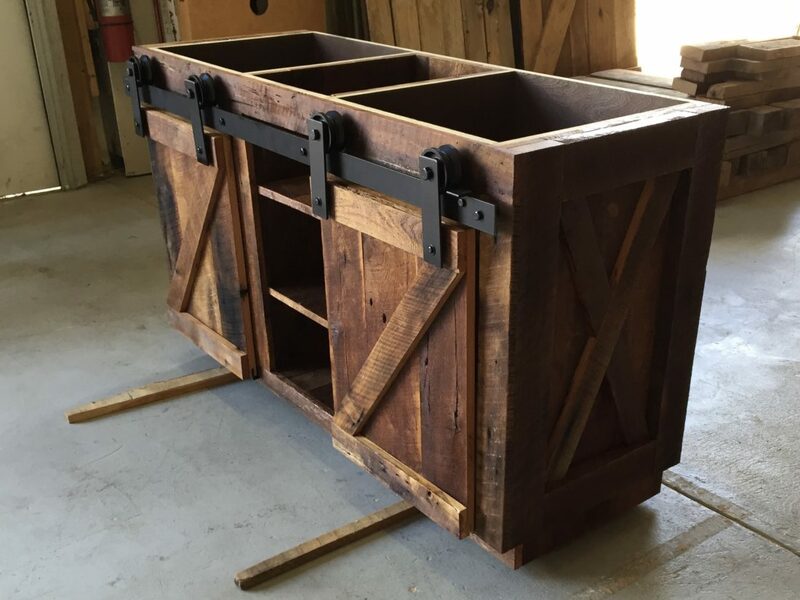 They knew they wanted something rustic for their new home to give it some warmth and character. Connie had seen some vanities in the big box stores but nothing she loved. 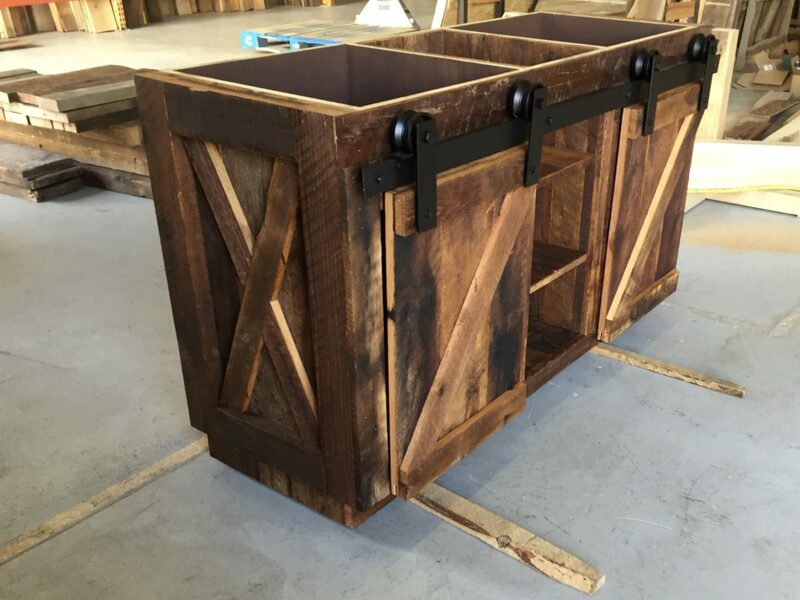 Once she realized we could do anything custom, we went to work on the design and this is the end result. 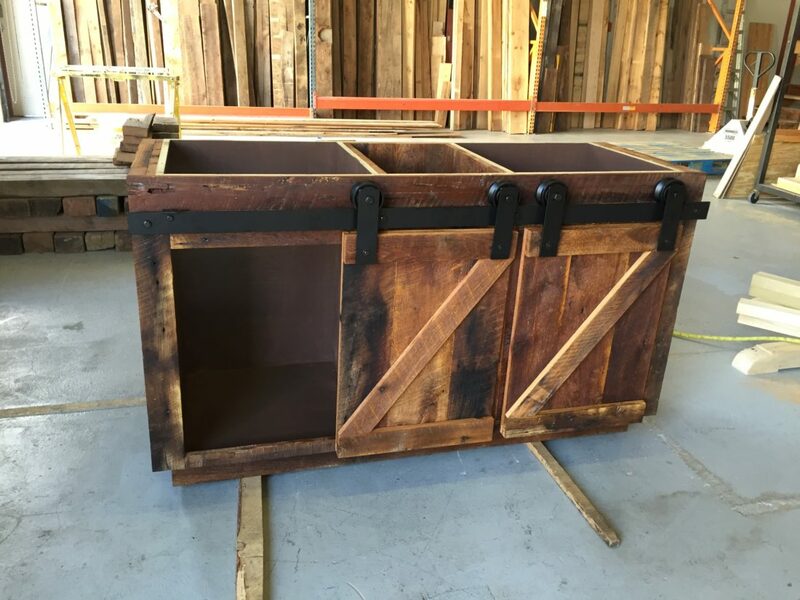 We added some really cool barn doors to give it that authentic farmhouse look and the end product was everything they hoped for and more!